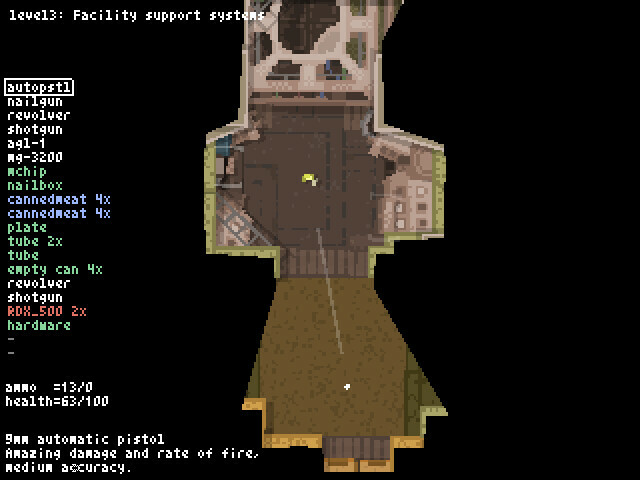 Teleglitch is a top-down shooter set in a gloomy military research facility. The game reminds me of Doom in terms of theme and pacing, but has more of a survival horror bent to it, with scarce ammunition and high-damaging, fast-moving monsters. In a lot of ways, it feels like what I wanted Doom 3 to be – a mostly action-based game with less gimmicky horror elements. Given the game’s tiny graphics, it’s impressive how detailed it looks. Overall, the aesthetics are great, with line-of-sight and sound design playing a huge part in setting a creepy atmosphere. I also like how much punch the guns pack – even a simple pistol distorts the screen and sounds explosive. This is particularly effective given the scarcity of ammo and gun-toting enemies (at least in the early stages). When I encountered my first shotgun enemy it was an exciting battle that ended with me backed pitifully into the corner of a small room – surprising, given how many similar enemies I’ve mowed down in other games! Teleglitch also features a unique scavenging/crafting system that lets you combine items to make new ones. A nailgun, for example, can be created from a basic pistol if combined with some other items. This can be upgraded to a tri-nailgun with more materials. Armor is also crafted in a similar manner (out of the tin cans left behind when you eat food). 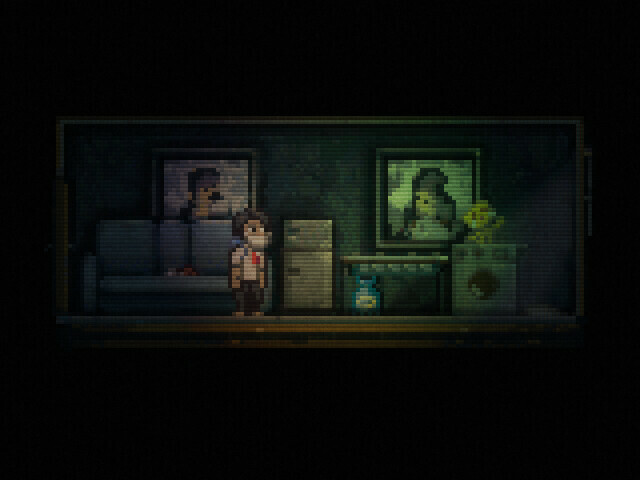 It’s a cool idea that makes exploring more fun and gives the player options as they try to overcome the game’s high difficulty. The influences on Teleglitch are multivarious (it’s also billed as a “roguelike”) but come together as a coherent and enjoyable experience. I haven’t gotten far enough to comment on whether it holds up throughout all ten of its levels, but so far I’m having a great time trying and dying. 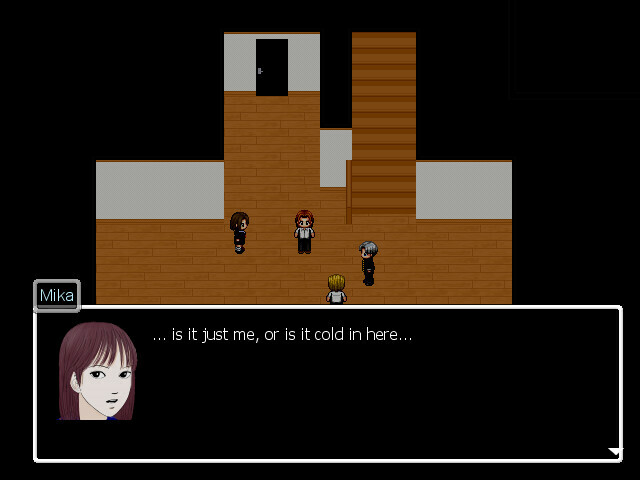 Action, horror, and roguelike fans should check it out – the full game is $13, but there is a four-level demo available.